Social Movements and the City is the culmination of my time at Arizona State University – leading to the completion of my M.A. degree. 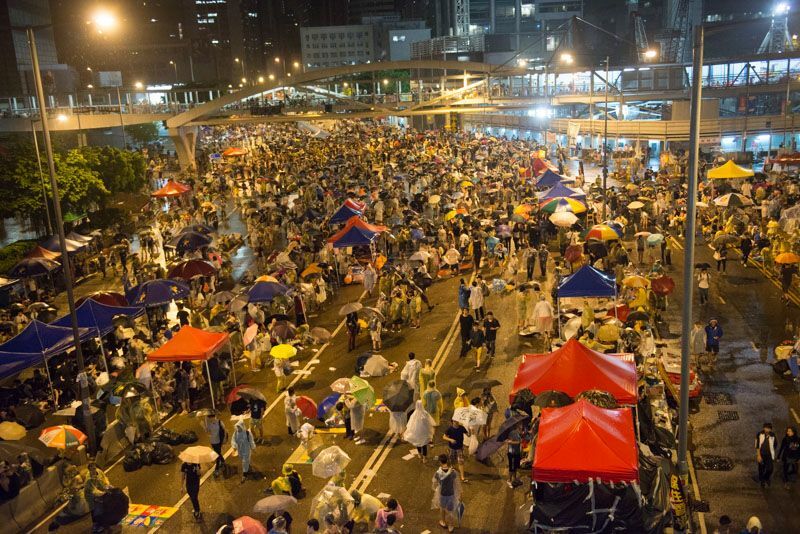 The Occupy Central movement in Hong Kong greatly interests me because I was raised there. Using a political ecology framework, I examined the historical, cultural, political, and social backdrop to the mass occupation and protest that occurred in the financial center of Hong Kong between September and December 2014. I argued that the protests were responses to issues greater than universal suffrage: Hong Kong’s tensions with China started long before the handover in 1997. However, what interested me the most was the use of physical space and the transformation of the meaning of space. How do urban spaces play in the development of social movements and protests? How did the design of the city affect occupation and the subsequent clashes with law enforcement? How was material and economic flows disrupted or altered? Despite the doomsday prognosis of critics of the blockade, the city’s economy and transportation systems continued to operate, as the citizens found alternative ways to maximize efficiency. By asking these questions, I bring to the forefront issues that face urban planners and policy makers alike. Environment does not determine but instead it interacts. How do we design spaces that foster positive experiences for urban inhabitants? My interest in this question drives my interest in becoming an urban planner or a geo-spatial analyst. “The movement was able to sustain itself with public support that grew with the police violence, despite concerns that the disruptions caused will sour the public opinion (Curran, Yung, and Hunter, 2014). The occupation continued with great organization despite a lack of a clear leadership. Supply stations were set up to accommodate the donated supplies that streamed in daily. Much of the supplies came from donors, many of whom were anonymous. Volunteer groups also bought and donated supplies to the protesters (Ngo, J. et. al, 2014). However, it is unclear where these supplies are coming from and what the logistics are to bringing them into the protest camps. The use of space and the organization of space becomes an interesting point of analysis in how the movement sustained itself and the effectiveness of the disruption resulting from the street blockades.